Our highly qualified NJ dentists are Dr. John T. Moran and Dr. Zachary S. Zemla. They graduated from the UMDNJ (University of Medicine and Dentistry of New Jersey) in 1979. Since then they have maintained a partnership for 38 years with a philosophy of honesty, caring, and clinical excellence. Dr. Moran and Dr. Zemla are dedicated to providing an environment for clients that are always friendly and non-judgemental. 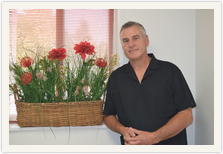 Their hand-picked staff members strive to make your dental experience a pleasant one. The staff members are fluent in both Spanish and Portuguese. Read more about our NJ family dentists Dr. Moran and Dr. Zemla below. Dr. John T. Moran went into private practice right after graduating from the University of Medicine and Dentistry of New Jersey in 1979. Prior, Dr. Moran attended Lafayette College where he received his BS in 1974. In additition, he has served as a public health dentist in the Elizabeth, NJ public schools for many years, treating children in an underserved area. He is also certified by the Mid Atlantic Dental Implant Institutute, and especially enjoys the challenges presented with cosmetic dentistry. In addition to his time spent in our offices, Dr. Moran also serves as an Assistant Professor of Oral Diagnosis at Rutgers School of Dental Medicine. Dr. Zachary Zemla received his BA from Rutgers University in 1974 & completed his MS in 1976. After graduating from dental school, Dr. Zemla did his residency at Robert Wood Johnson Hospital, where he remained an attending for years afterward. 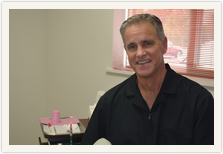 He has certificates from the New York Institue of Oral Pathology and the Mid Atlantic Dental Implant Institute. Working for the East Newark Public Schools, countless hours of continuing education credits, and 38 years of clinical experience have added to his expertise. Whether you need a routine checkup or a more advanced procedure, Drs. Moran & Zemla are both highly qualified and able to assist you. Contact our office to schedule an appointment today. Ania practiced for 12 years as a dentist in her home country of Cuba. She recently graduated from Rutgers School of Dental Medicine and has passed all of her local and national dental boards near the top of her class.